In-House Smoked Fish — The Local Catch, Inc. - The Best Rhode Island Seafood! The Local Catch seeks to provide you with the freshest and healthiest seafood our region can offer. Now, we venture into the next stage of our mission: to provide you with the freshest and healthiest smoked fish our region can offer. 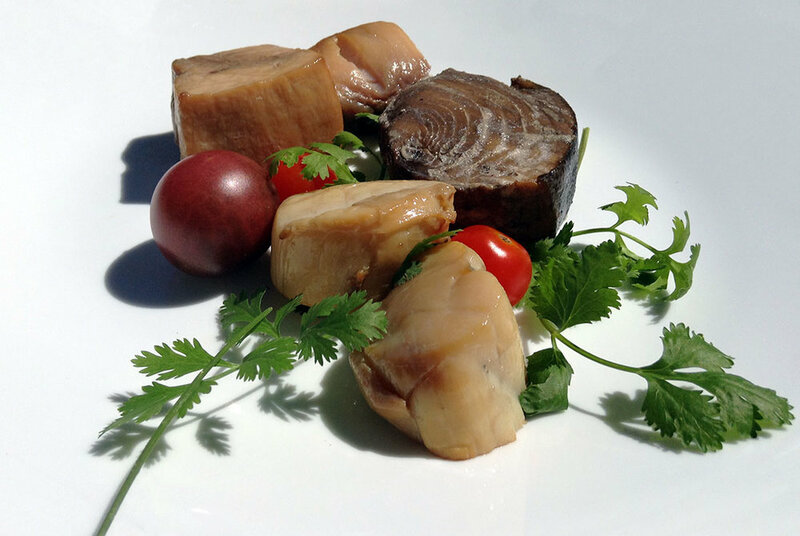 Because we are a small-batch operation, we can offer a lot of variety and customization for our smoked fish. We hope to continue being innovative by using local wood, corb-cob smoking, and even smoking local seaweed! David Seng is our master smoker. He is HACCP-trained in food safety management. Find him at our stand at many farmers markets. Our basic brine uses salt to draw moisture out of the fish, and honey or molasses to maintain a uniform color. The fish is then smoked with a blend of apple, hickory, and apricot woods. 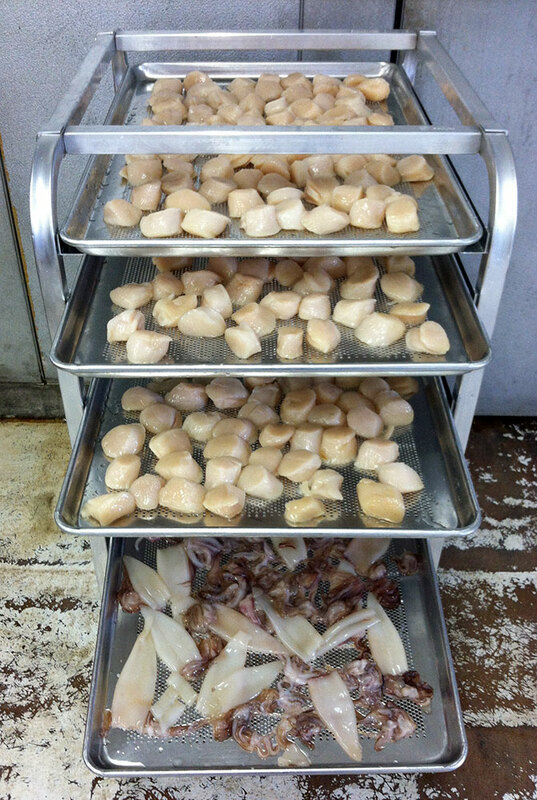 Squid and scallops, getting ready for the smoker. We also use many local ingredients to brine and season our smoked fish: peppers, tomatoes, tomatillos, garlic chives, onions, garlic, honey, and spices that we source from local vendors.